State control, in turn, made generations of civil servants tastemaking critics — their decisions on what to stock dictating what people could order in bars or buy in the stores. In 2010, for example, a tiny distiller here in Cashmere, called It’s Five O’Clock Somewhere, made a grape brandy that the owner, Colin Levi, was quite proud of. Liquor Control Board officials came by for a tasting and did not much care for it, Mr. Levi said, and that was that — it never went into distribution. Until 2009, I lived in Oregon, another state with a government monopoly on the sale of liquor. In 2002, Oregonians rejected a ballot measure that would have created a single-payer health care system in that state. At the time, I remarked that people in Oregon were afraid of “socialized medicine” but had no problem with “socialized booze”. “[I]n the end this is not a scientific survey. It’s a random survey.”—Rep. Daniel Webster (R-Florida), explaining his opposition to the Census Bureau’s American Community Survey. Rep. Webster should hope that his campaign advisors have a better understanding of sound polling methodology than he does. 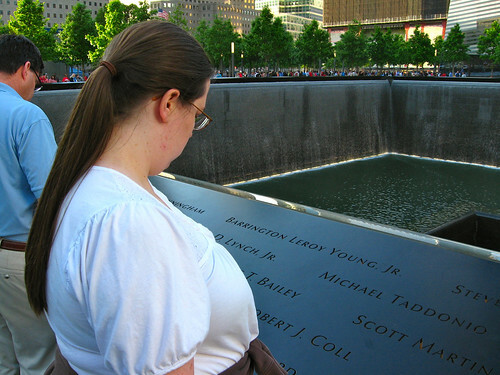 Today, Sarah and I visited the National September 11 Memorial, which sits on Ground Zero. 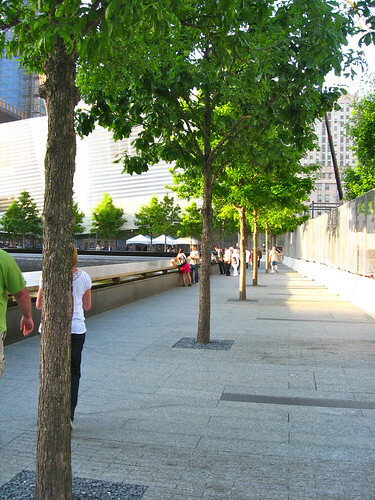 Visiting the memorial requires a visitor pass. 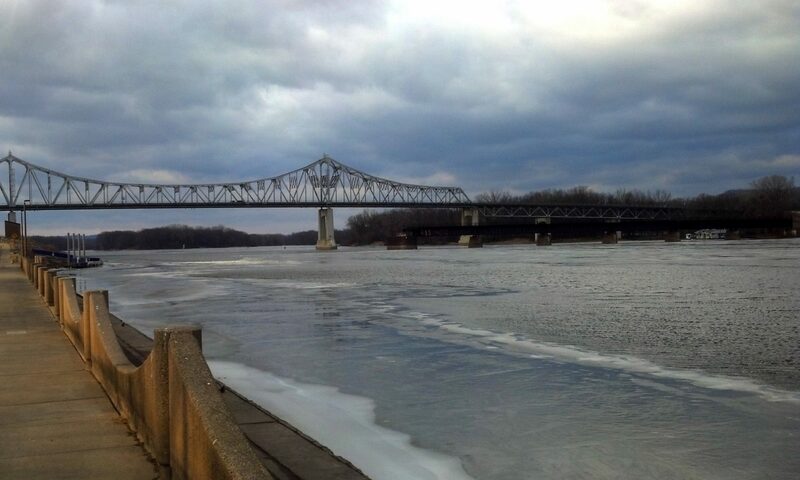 The passes are free, but have to be reserved ahead of time on their web site. (I reserved our passes in late April, and there were already no slots available on Friday, Saturday, or Sunday.) 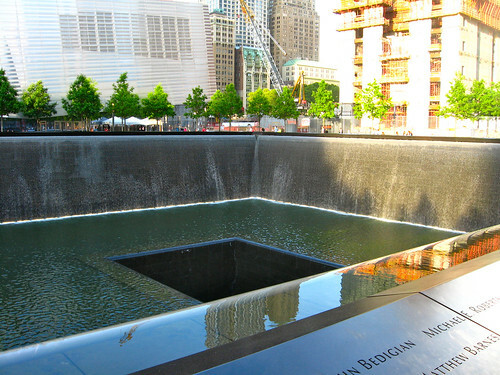 There was about a 15 minute wait to enter the memorial, which included passing through metal detectors. 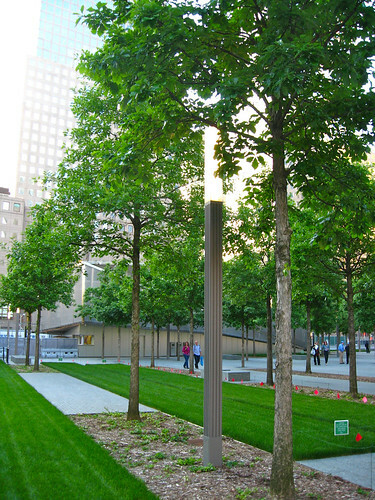 The memorial consists of a plaza full of trees, and two recessed pools in the footprints of the twin towers. 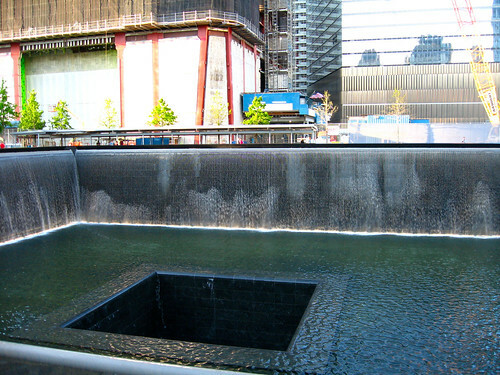 Water flows down the sides of the pools, and the names of 9/11 victims line the rims of the pools. Let me tell you why I find the 2012 hype obnoxious: One of the key tenets of this 2012 stuff is that the ancient Mayan civilization had important insights that are now being ignored by modern Western society. Its believers hold themselves as more “enlightened” for recognizing the value of this native culture. Except, in reality, the hype is based on ignoring what the Maya said and misappropriating their voice to push silly new-age ideas. Hopefully, these latest archaeological finds will tamp down this 2012 nonsense. Recently, the makers of Nutella settled a class-action lawsuit from a San Diego mother who claimed advertising mislead her into thinking the stuff was healthy. Here’s a question for you: Do you think the health claims in this ad are misleading? My photography featured on the BBC News website! Back in 2003, I received a digital camera as a graduation gift. 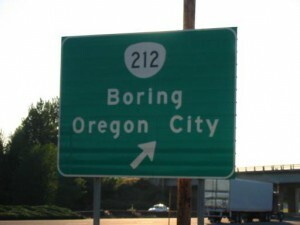 I used it to take a photo of one of my favorite signs: the sign for the Boring/Oregon City exit on U.S. 26. I was relatively new to photography; I don’t think it’s my best work. 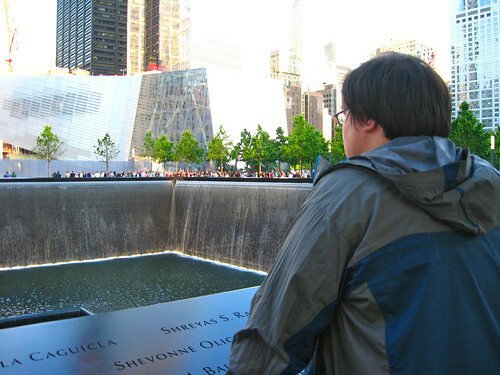 The next year, I uploaded a copy of this photo to Wikipedia. I didn’t know any better, so I reduced the image to 512 × 384, which you are not supposed to do when putting photos on Wikipedia. If I had access to the original full-size file, I’d replace the one on Wikipedia. 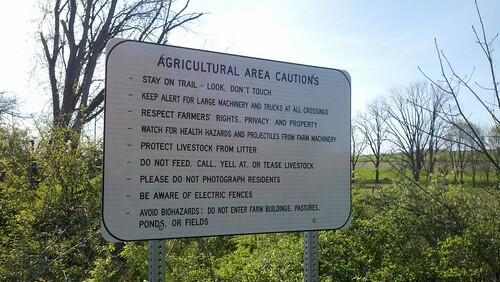 The closest I have is this Flickr photo, taken in the same session, which lacks the truck. I am extremely honored to find my work featured by the BBC! Since many of my Flickr photos are available under Creative Commons licenses, I am used to seeing them occasionally appear on blogs. 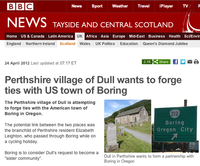 I believe this is the first time, however, that my work has been used in an international news story! 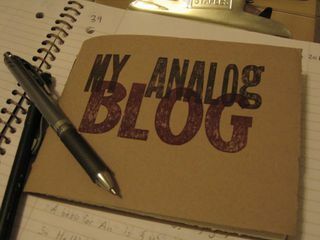 As you may know, I have been writing an “analog blog”, in which I write the entries by hand in a handbound journal (a Christmas gift from my sister-in-law), scan the pages, and then post them to the web. My latest entry is about voting. Except: when I click on a link on the Eff Bee to an article and I’m asked to add an app to follow the link, I don’t Google for the article—I refuse to read it at all. I refuse to reward antisocial behavior.